BRISTOL, VT — Sept. 4, 2014 — VBT Bicycling and Walking Vacations, America’s oldest bicycling tour operator, has announced its 2015 trips including six new tours in destinations like South Africa, China and Germany, further expanding the company’s extensive portfolio of 50 cycling and walking vacations in 26 countries. 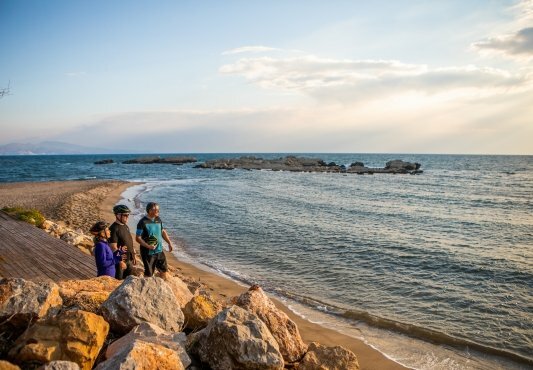 A leader in immersive travel, VBT offers world-class biking and walking routes with organized off-the-trail activities designed to fully immerse travelers into the local culture of their surroundings. Unlike its competitors, VBT includes roundtrip international airfare and airport transfers in the price of their tours. 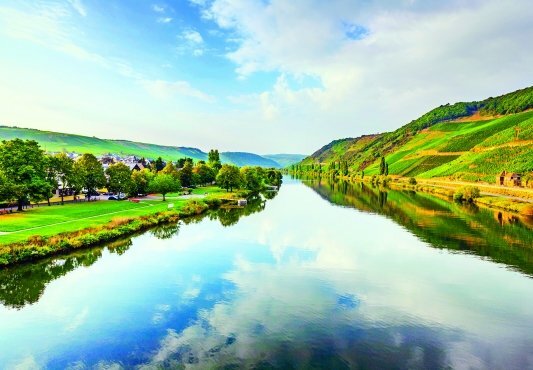 Gently pedal along bike paths through Eastern Germany while exploring a beautiful region accented by castles, windmills, and the breathtaking Karst mountains of Swiss-Saxony. Travelers also enjoy a meal with a German family at a pickle and sauerkraut factory in the heart of Spreewald after cycling along the Gurkin bike path. 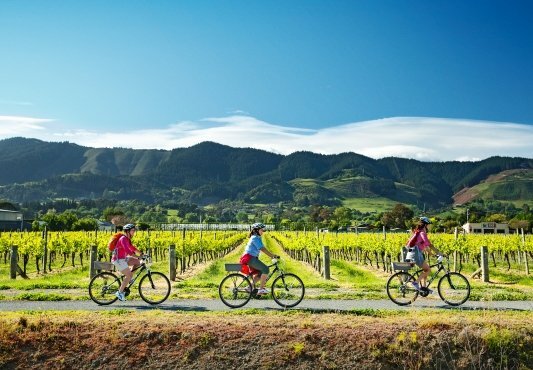 Cycling South Africa: Cape Town & the Garden Route – $4,995 including international airfare Along the 3,000 kilometer coastline from Table Mountain in Cape Town to the renowned Garden Route, discover coastal towns, inviting wine country, and rugged mountain scenery. Honoring 20 years since the end of Apartheid, travelers will meet a family who will share their personal account over dinner in a local township. 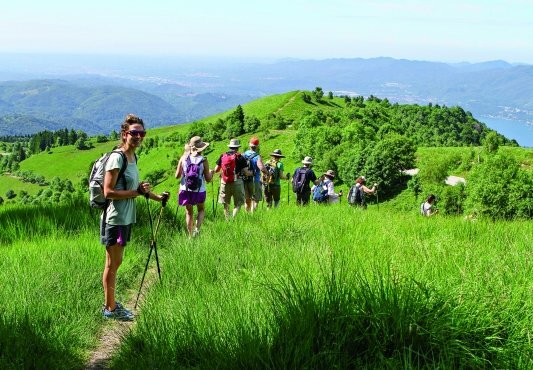 Learn about Leonardo da Vinci’s inventions in his hometown, enjoy a lunch of local specialties and a wine tasting at Fattoria del Teso winery, and cycle along undulating rivers and through quaint villages in the heart of Northwest Tuscany. Immerse yourself in American history with visits to Historic Jamestowne, Colonial Williamsburg and the Yorktown Battlefield. Travelers visit a team of archaeologists at the 1607 James Fort site and take a scenic ferry ride across the James River then cycle to a picnic at Chippokes Plantation. Enjoy an in-depth look into China’s fascinating culture and history during visits to Lijiang’s old city, Shangri La’s Songtsam Monastery, and the Yangshuo Cooking School where travelers prepare authentic Chinese cuisine. Walking Austria, Germany & the Czech Republic: A Bohemian Rhapsody – $3,495 including international airfare. Discover the distinctive cultures of three countries through their language, unique food and friendly natives. 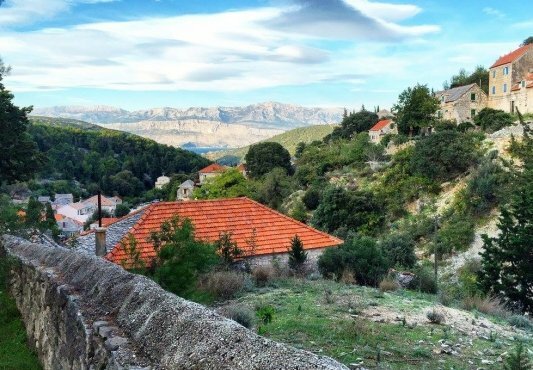 Walk on scenic countryside paths and the streets of small, historic towns. Travelers also board a steam cog train to the summit of Mount Schafberg and stroll through the verdant landscapes of South Bohemia. Around the globe, VBT is the leader in truly immersive travel and each 2015 tour provides unique cultural moments and opportunities to interact with the local people to discover the true identity of a destination. 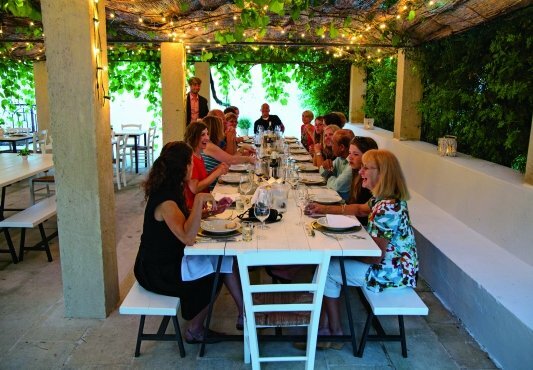 In Italy, VBT guests stay in unique accommodations like Antica Fattoria La Parrina, an agristurismo located on a century-old working farm, and the Masseria Torre Coccaro, a 16th-century fortified dwelling converted into a five-star resort. In 2015, travelers can look forward to one-of-a-kind culinary experiences such as a cooking class in the home of Chicca Maione, the founder of Cooking in Tuscany or a visit to Antica Dolceria Bonajuto, a chocolate factory in Sicily that has processed cocoa seeds according to the old Aztecan techniques since 1880. With every VBT trip, the destination comes alive through personal and guided tours such as a visit to Fonte di Foiano where a member of the Di Gaetano family leads a private tour and tasting at their working olive mill. Serving as travel companions, VBT’s bilingual expert Trip Leaders are all residents of the country they lead in, which enriches the journey as they impart their knowledge of local customs, flora and fauna and provide historical context and insight. 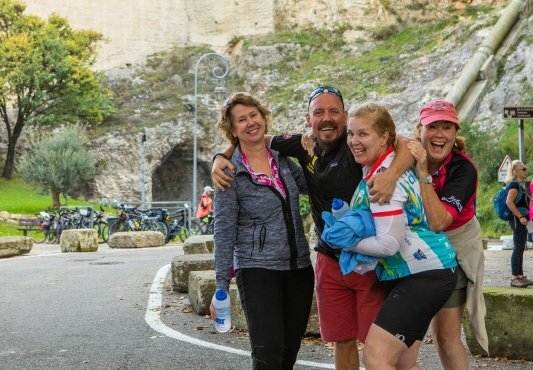 To ensure every experience is unique, VBT also provides route instructions with different options so that travelers can pedal or walk at their own comfortable pace while still feeling a strong sense of group camaraderie. VBT’s unparalleled value in the world of active travel comes from outstanding quality and unsurpassed prices. 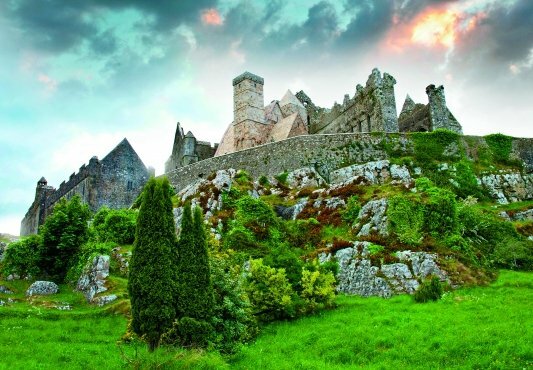 No other tour company includes so many features and advantages such as international roundtrip airfare, complimentary custom bicycle or walking poles, and accommodations. This notion is reinforced by the fact that 98.6% of VBT’s travelers plan to travel again. VBT is also offering additional incentives for its Refer-a-Friend program in 2015. Travelers who refer a friend who books a vacation receive $150 in Traveler Credits after the friend has returned from their vacation. The referred friends will now receive $100 per person in savings on their first reservation. Book any 2015 VBT vacation by October 15 and save $200 on international trips and $100 on domestic trips. Use booking code: VBT1501. To request a catalog or to book a 2015 bicycling or walking vacation, please visit www.vbt.com or call 800-245-3868. VBT offers 50 deluxe, small group bicycling and walking tours in 26 different countries, including destinations throughout Europe, Costa Rica, New Zealand, Vietnam, Peru, South Africa, China, and the United States. Each trip includes all accommodations, many meals, two expert local Trip Leaders, unique sightseeing and cultural activities and on-tour vehicle support. Unlike other companies, VBT also includes roundtrip international airfare from over 30 U.S. cities and select Canadian cities for all overseas vacations.In 2014, VBT was rated by the readers of Travel + Leisure among the “World’s Best Tour Operators” for the fifth consecutive year.